How not to get deceived by the Pokemon Go virus? How can you differentiate between safe and corrupted apps? How can you get rid of the Pokemon Go virus? As a disclaimer, we should note that the Pokemon Go virus we discuss in this article is in no way related to the original application which has been released by Niantic in the beginning of June. 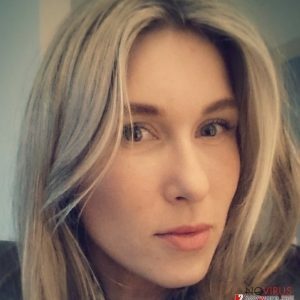 We are focusing on a category of fake applications that use the popularity of this well-known augmented reality game to generate profit. Such fraudulent applications were especially booming when the application was just released and was not yet available in some countries. For instance, the users of Japan have only been able to download the app weeks after it was released in US. This gave the malicious software creators plenty of time to fill the market with fake applications and receive a considerable download rate as well. In fact, some countries like China, Korea or India are still waiting for the app to be available for downloading. Thus, it seems that the stream of fake applications is not going to cease any time soon. So we have prepared this article to introduce you to the potential dangers of being infected with a corrupt software as well as provide the infected users with some helpful Pokemon Go removal tips. But if you are not infected yet, there is still time to take care of the device protection. You can use Reimage mobile if you are an Android user or Webroot SecureAnywhere AntiVirus utilities in case you own an iOS-driven device. Even the users who have already obtained the original version of this app are not safe either. Google Play store has taken down several corrupt applications like ‘Install Pokemongo’ and ‘Guide & Cheats for Pokemon Go’ which offered additional features for the Pokemon Go players, but were actually designed purely for the profit-making purposes. Usually, Google terminates such infections relatively quickly, but there is always a chance to be exposed to some new, yet undetected version. The security experts are especially concerned that this app can be used to spread even more destructive software like Cerber virus around. Sadly, such concerns are not unfounded. One iOS user has already reported an incident in which his phone was locked soon after the Pokemon Go installation. The criminals demanded around $40 to unlock the phone. Otherwise, the containing data will be destroyed. It is just a matter of time before similar techniques are put to a more widespread use. Thus, it is crucial to keep your data protected. The first step is to remove Pokemon Go virus and other suspicious applications from your device. This way you will ensure a smoother system performance and lessen the potential vulnerabilities. When downloading new software to your device, you should always be aiming at the legitimate and acknowledged applications only. Your download providers Google Play or App Store can be helpful in choosing the safest option. When on these platforms, pay attention to the ratings and reviews of the programs you are planning to install. Look for the programs with the highest rating and always read through the user feedback. Avoid obscure or low rated applications and always check the list of permissions before hitting the ‘Accept’ button and installing the program on your device. It is also beneficial to run system scans with trusted anti-malware tool after installing new software on your phone or tablet. 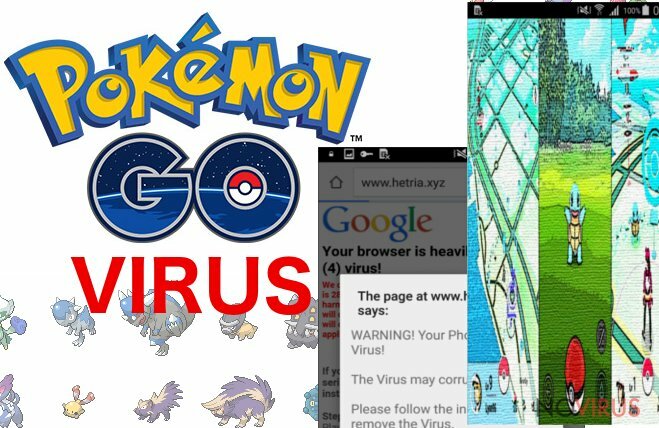 Depending on what type of Pokemon Go virus has infected your device, you may need to follow particular removal steps. However, the system scan is an obligatory option if you wish for a guaranteed Pokemon Go removal. We recommend using updated and compatible anti-malware software for this purpose. In case your antivirus utility does not register the infection, but you still find certain applications suspicious, remove them regularly via your phone’s or tablet’s application manager. This post was published on 2016-08-11 at 11:05. Category: Malware, Viruses. What method did you use to remove Pokemon Go virus? Cannot remove Pokemon Go virus?